The 4 Best Pumpkin Patches in North Dakota! 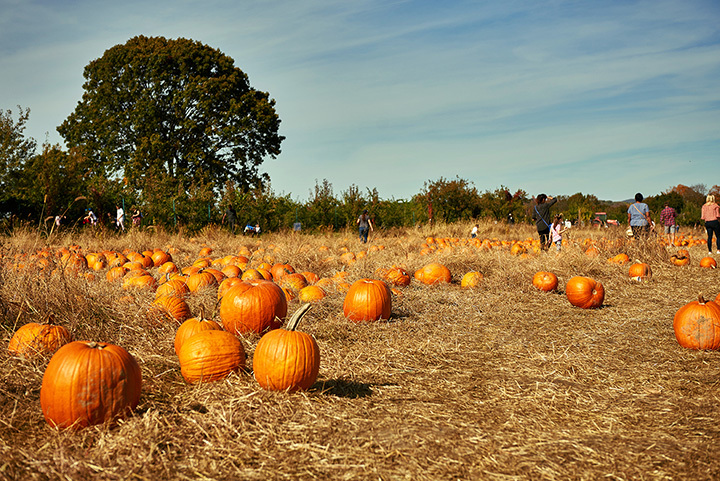 Few things say fall like a visit to a pumpkin patch. Whether you are a corn maze aficionado or someone in search of the great pumpkin, there are many great locations for you throughout the state. Visiting a pumpkin patch is a great way to take advantage of the beautiful fall weather and enjoy the great outdoors before the snow falls. Here are the best pumpkin patches in North Dakota. Frequently named one of the best pumpkin patches in the nation, Papa's has been a tradition in the Bismarck area for over 25 years. Test your balance on the log jam, find your way through the bale maze consisting of over 500 straw bales, hike your way through the Touchstone Nature Trail that winds through the Missouri River lowlands, take your picture by Billy Bob the Cornstalk Horse, or test your aim with a pumpkin cannon or corn cob sling shots. Additional activities include a tire climbing pile, horse-drawn hayrides, pony rides, zip lines, monster wagon rides, and Papa's pedal carts. Concessions are also available. Fargo's largest pumpkin patch, Rusty K Ranch includes over 25 free activities. Whether you are interested in the patch's 10-acre corn maze, the petting zoo, the obstacle course, giant backyard games, or the nine-hole miniature golf course, Rusty K Ranch has something for you. New activities include an indoor food and educational area, kids barrel car rides, and chicken corner. Pumpkins are available for purchase from the pumpkin patch. Those living in the Grand Forks area are well aware of Nelson's Pumpkin Patch. Located on a family-run farm that has been in operation since 1880, the pumpkin patch is the perfect combination of rustic ambiance and exhilarating activities. With unique games like Conk the Crow, Pumpkin Pitch, and Stuff the Scarecrow, Nelson's offers hours of family fun. An 11-acre corn maze, hayrides, a Jack-O'-Lantern Jump Bounce, and Gruesome Grainery round out the location's many activities. In the Minot area, Angelic Gardens offers a variety of fall-related activities. Take a private 30-45-minute wagon ride through the beautiful countryside and return to a roaring bonfire (weather permitting) and some fresh apple cider made with apples from Angelic Gardens' own orchard. Pumpkins are also available for sale and those interested in carving them on-site can take advantage of the Gardens' collection of carving tools. Even better, they will take care of the cleanup.